Spiral wound gaskets - made with an alternating combination of formed metal wire and soft filler materials - form a very effective seal when compressed between two flanges. A V-Shaped crown centered in the metal strip acts as a spring,giving gaskets greater resiliency under varying conditions. 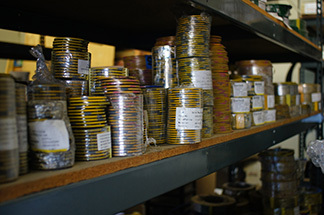 Filler and wire material can be changed to accommodate different chemical compatibility requirements. If the load available to compress a gasket is limited, gasket construction and dimensions can be altered to provide an effective seal. 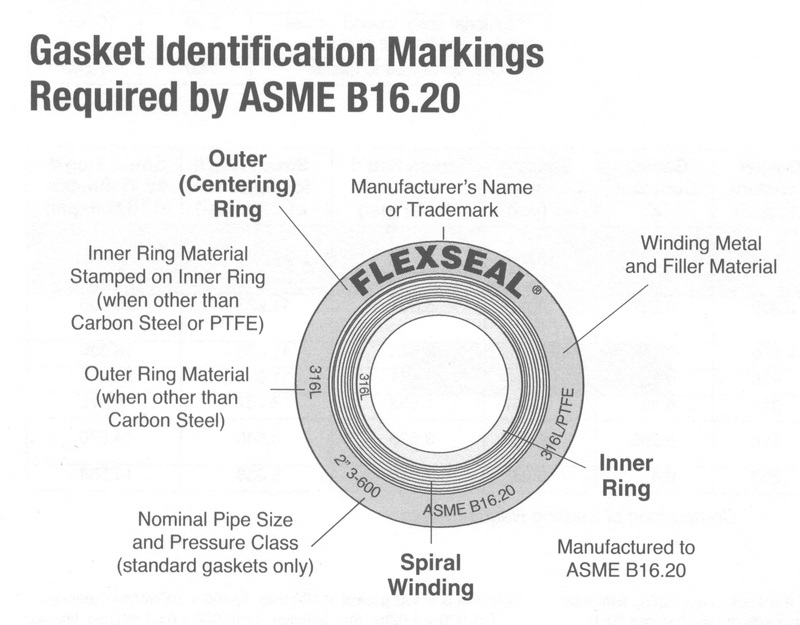 A spiral wound gasket may include a centering ring, an inner ring or both. The outer centering ring centers the gasket within the flange and acts as a compression limiter, while the inner ring provides additional radial strength. The inner ring also reduces flange erosion and protects the sealing element.